Companion site to an original broadcast on January 28, 1997. When Titanic sank, construction on her sister ship, Britannic, was interrupted so she could be overhauled with new regulations. Britannic sank in 1916 in less than an hour. 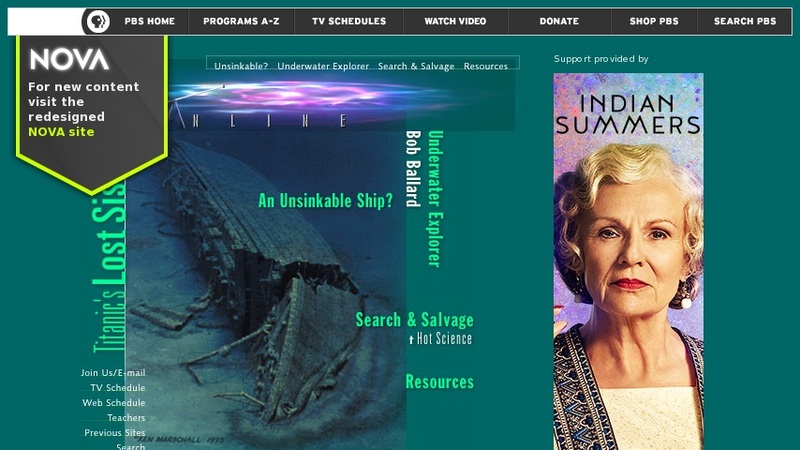 Includes interview with Robert Ballard, who found the sunken Titanic, an interactive search, and salvage activity. Others resources available: written transcript, teacher's guide, students activities, and links to additional resources.